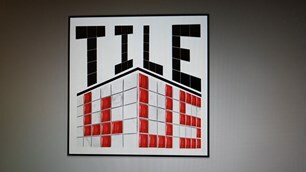 Tile4Us - Bathrooms, Tiler - Tiling based in Birmingham, West Midlands. I am a highly experienced, professional tiler and wet room fitter and an accredited Impey fitter for wet room shower tray installation. I am predominantly a wall and floor tiler and have over 15 years experience in the trade. I promise a very high quality service and professional workmanship for every job done. I predominantly work in the South Birmingham region up to a 15 mile radius. I provide a friendly, courteous service and have excellent communication with my customers. I have a very flexible skill set and can create bespoke designs to meet individual customer requirements. I am also a capable carpenter and have experience with slabbing and building repair work. I can’t plaster or do plumbing or electrics, However I can remove and refit sinks, toilets and baths and have contacts who can provide these services which can be priced into my quote. I can quote for labour only or can source and provide all materials and consumersbles including tiles. I offer customers the opportunity to see a range of samples from the tile warehouse I use and send images via whatsapp. I can provide references from previous customers who are happy to recommend my services. I offer a free quotation but I do request photos and a description of what is required prior to arrival as this is helpful.